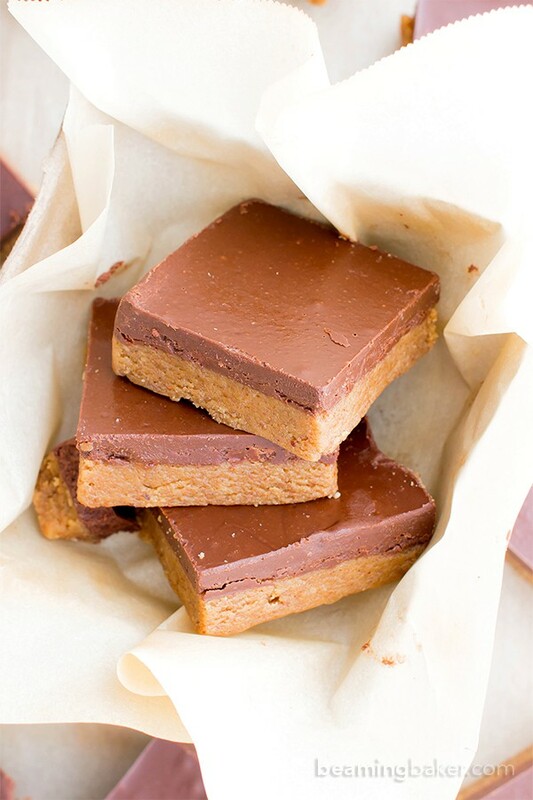 No Bake Paleo Chocolate Almond Butter Bars (V, GF, Paleo): a 4-ingredient no bake recipe for thick, decadent almond butter bars topped with chocolate. Vegan, Paleo, Gluten Free, Dairy-Free, Protein-Rich. Did I ever tell you I used to be an almond butter-making maniac? Thanks for asking (kinda). Back in the day, about two years ago, I baked nonstop. I baked even more than I do now that I have a food blog (which is A LOT). Every day, I would make 4-6 batches of cookies. Then, I’d make nice cream (which was called banana soft serve back then), meal prep for the next two weeks, then spend the night putting together packages for my sisters. But you already knew I was kinda… cray. Right? 😉 I know some people have to do this because they have kids and wives and husbands and extra folks to constantly mealprep/bake for. But not me. I did it because I was on a mission to make everything from scratch. I also did it because baking was my solace. You might be asking yourself, “What does this have to do with No Bake Paleo Chocolate Almond Butter Bars?” I’m so glad you (kinda) asked again. 🙂 Well, back then, if I had prepared this recipe for you, I would have made the almond butter from scratch. Right before making the recipe. Oh me… oh my. Back then, I would have pulled out the food processor, opened up my bulk bag of almonds and blended for a good 5-15 minutes ’til I got just the perfect smooth consistency of creamy almond butter. Then, carefully transfer that mess-prone goop (scientific name for nut butter consistency) into a large Tupperware, spend like 15 good minutes wiping off flecks of almond butter goop that had flown all over the kitchen, then wash all the dishes (you know how long this takes when you have almond butter grease staunchly refusing to let go of its dish territory), then dry all the dishes (because: counter space, ‘nuff said), then make these bars. And back then, that would be right before I went ahead and baked like 500 more cookies. I was either cray or just not too sharp. For some reason, cray totally sounds better. Nowadays, I’m much more sane (kinda) and way more into things being as easy and simple as possible. That’s why I’m so happy to share these No Bake Paleo Chocolate Almond Butter Bars with you. Plus, to totally discourage you ever from making almond butter or any nut butter right before you need to bake like 500 cookies. 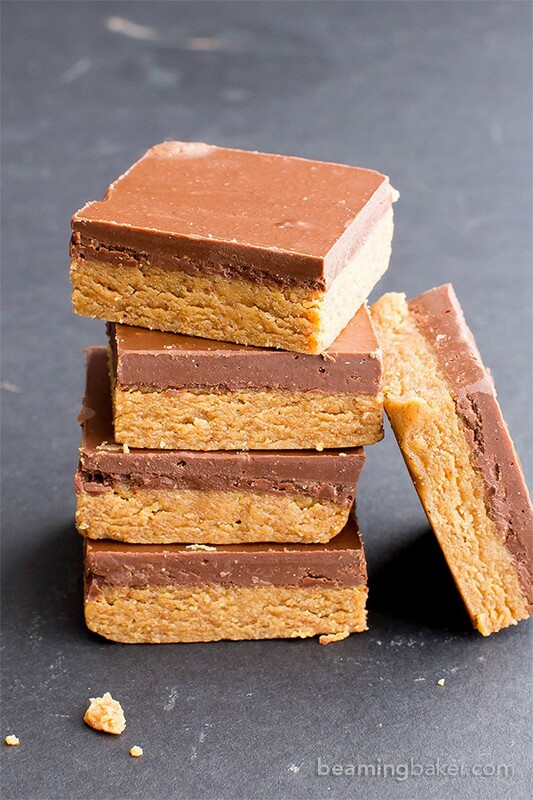 These No Bake Paleo Chocolate Almond Butter Bars are so ridiculously easy to make, so incredibly delicious, totally taste like Reese’s (that is, if Reese’s made almond butter cups) and one of my favorites. 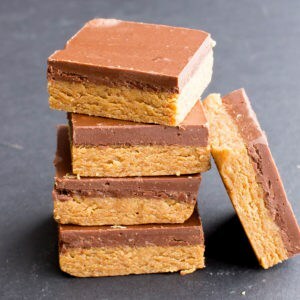 I got the idea for this recipe from my No Bake Chocolate Peanut Butter Bars. You guys may or may not recall how insanely (there goes that word again lol) excited I was about those bars. 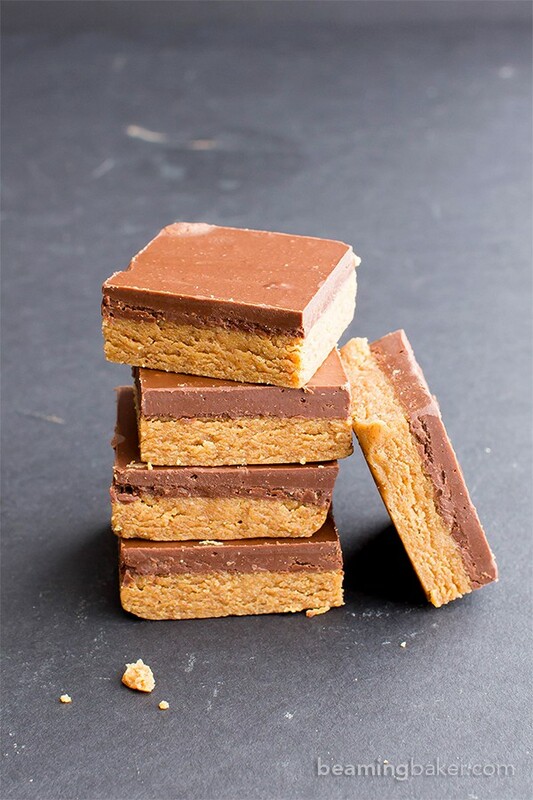 They were my chance, my personal challenge to prove that no bake chocolate peanut butter bars could be made without all the dodgy ingredients: powdered sugar, graham crackers, butter, etc. Many of you asked if you could make them with almond butter. So here we are, settling it once and for all. Why, yes, you can make them with almond butter. Woot woot!! Btw, please tell me that people still say “woot woot.” As usual, I’m like 1 full decade late to the slang game. Shall I remind you of my use of “cray?” I’ve totally got to start calling things “lit” too before that goes out. so easy to make, I’ve had readers make a quadruple batch at once. Like, woah. What do you love to make from scratch? 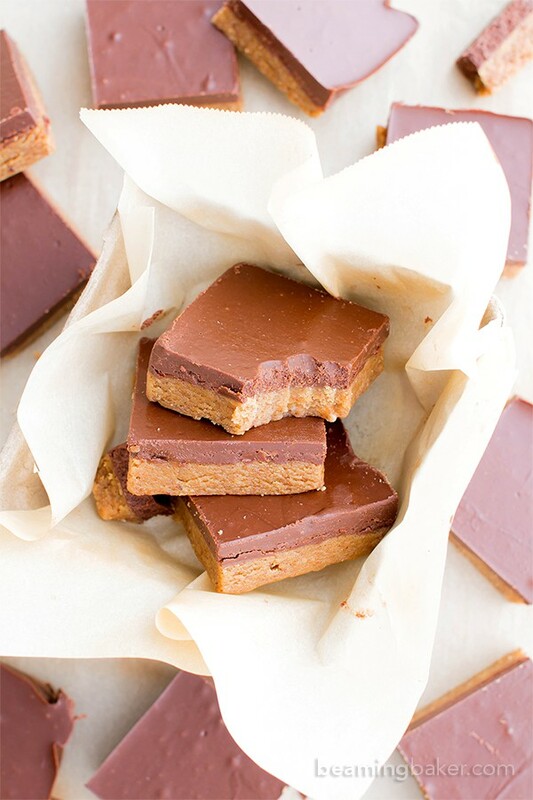 No Bake Paleo Chocolate Almond Butter Bars (V, GF, Paleo): a 4-ingredient no bake recipe for thick, decadent almond butter bars topped with chocolate. Vegan, Paleo, Gluten Free, Dairy-Free. Line an 8-inch square baking pan with parchment paper or wax paper. Set aside. Clear some space in the freezer for this pan--you will need it later. Make the almond butter layer: In a medium bowl, add Almond Butter Layer ingredients: 1 cup almond butter, ¼ cup + 2 tablespoons maple syrup, and ½ cup coconut flour. Whisk until thickened and difficult to stir. Switch to folding with a rubber spatula until well-incorporated. Pour this almond butter mixture into the prepared baking pan. Using the rubber spatula, smooth into an even layer. Set aside. Make the chocolate topping: Use the double boiler method or the following. Add Chocolate Topping ingredients to a medium, microwave-safe bowl: 1 cup chocolate chips and ½ cup almond butter. Heat in 20-second increments until chocolate is softened and melty. Stir in between heating, until smooth. Pour the chocolate mixture over the almond butter filling. Using a clean rubber spatula, smooth chocolate into an even layer. Tap the pan a few times to help even out the chocolate. Transfer pan to freezer. Freeze for 45-60 minutes, or until hardened. Remove from freezer and slice into 16 squares. Enjoy! Storing instructions below. 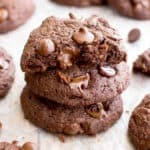 More Almond Butter Recipes: my favorite Chewy Almond Butter Chocolate Chip Cookies and super easy 3 Ingredient Paleo Almond Butter Energy Bites. - Adapted from my No Bake Chocolate Pecan Bars (Paleo, V, GF), and my No Bake Chocolate Peanut Butter Bars. - On the first day, these bars are best stored in the refrigerator. Serve and enjoy within 1 hour. 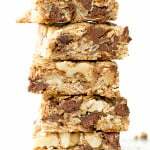 - Nutrition Facts are an estimate, based on 16 bars for this recipe. - These bars freeze well. Store in an airtight container in the freezer for 1-2 months. Thaw at room temperature for 10 minutes before enjoying. Or, heat in the microwave in 20-second increments until softened. 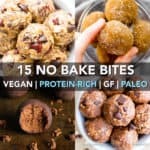 - More No Bake goodies: almond butter coconut bites, peanut butter truffles, trail mix bites. 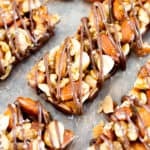 - Paleo goodies: Paleo Almond Joy, Paleo Almond Butter Cups, No Bake Paleo Chocolate Pecan Bars. 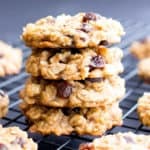 - Almond Butter Love recipes: chocolate chip almond butter walnut cookies, chocolate almond butter pretzel bites, almond butter chocolate chip oatmeal cookies. 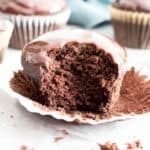 If you can’t get enough of chocolate + almond butter, try my super easy to make Paleo Chocolate Almond Butter Fudge Cups (Paleo, V, GF, DF). SO. Good. Since you love no bake, you might just love frozen desserts… Amiright? Try my Coconut Chocolate Chip Vegan Ice Cream… creamy, cool and refreshing paleo vegan + dairy-free deliciousness. Wow! I really admire your baking skills back then (and now too)! I’ve never made homemade almond butter before, but it’s on my list to do so. Sounds like you were overflowing with ALL of the food! Mmm and nice cream, I do love that and it’s been way too long since I’ve had some. 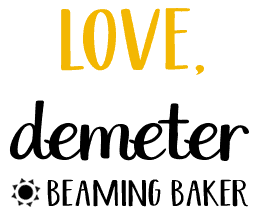 You are the queen of no-bake recipes, Demeter! 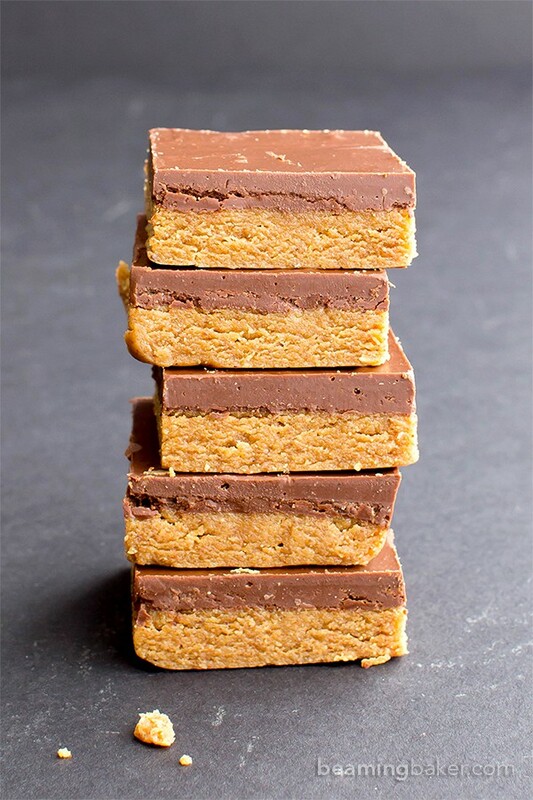 I’m loving that these gorgeous bars are just four ingredients. You really can’t get much easier (or more delicious!) than this. Pinning these beauties and can’t wait to make them. I’m love the chocolate and almond butter combo! Hope your week is off to a great start! Riiiight? You do not mess with that ab grease! Lolol. Funny thing, around my parts almond butter and almonds cost about the same–so I just go for the ready made. Come on over, I saved ya nice big batch that my sisters “can’t” eat. 😉 🙂 Happy Monday! Get in my belly. Enough said! NO BAKE = so so so dangerous. I mean, that just makes them EASIER to eat! You are just the no-bake maven around these here parts! I love how simple the ingredient list is too!! I have never been a woot woot-er, but I did use “lit” before, and my sister said to stop using that because I’m “too old”. To that I say “PISH POSH”. Would I be able to use almond flour instead of coconut and stevia instead of maple syrup? Thx! 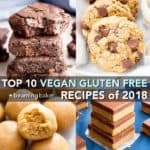 Hi can I use almond flour instead of coconut flour? I bought a giant bag from Costco that I need to use. Hi Valerie, so funny, I just got asked this question! 🙂 Here’s what I said, “…almond flour is a lot less absorbent than coconut flour (like A LOT). 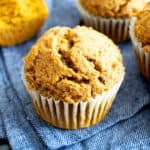 I know a few people have tried using oat flour with success, but I worry that almond flour would not be sufficient for absorbing the almond butter and creating a nice, firm texture. I’d recommend starting with about 3/4 cup almond flour, and experimenting as needed.” Hope this helps! Thanks for your recipe!! These were easy to make and very yummy!! Any idea how many calories per bar? Hi Christine! I just calculated the nutrition information. You can find it under the notes in the recipe. 🙂 Enjoy! 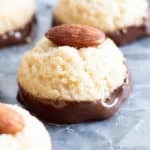 Easy and delicious healthy dessert!! Thank you! These lasted a week in my fridge and they were still awesome. i love how simple these bars are…I am going to try them today for kiddos afterschool snack!! I am going to try with almond flour and let you know how it works! I think these are going to go over well!! They are super tasty and took me under 5 minutes to throw together. I used only 1/3 cup maple syrup, 1/4 cup cassava, 1/3 cup almond flour, and 1/4 cup golden flax meal. I also mixed in some vit d emulsion for fun, and used half cashew butter! Thank you for an quick and easy recipe! I made these today and I’m sad that I find them bland. 🙁 I don’t want to throw them out (almond butter isn’t cheap!). Any thoughts? Hi Jamie, so sorry to hear that! No one’s ever told me that these are bland. 🙁 Maybe try adding in a pinch of salt, or increasing the amount of chocolate in the topping? YUMMMMM…..delicious! Just as good as it looks. This was my first try at using coconut flour and making any goodies! Worth the small effort! Thanks for the recipe! Woohoo!! I’m so pleased that you enjoyed my recipe, Candi! 🙂 Coconut flour can kinda be daunting (I’ve got to be honest haha), so I’m super happy that your first experience was fantastic. Thank you for stopping by & letting me know! Can you tell me what brand of paleo chocolate you recommend? Thanks!!! I can’t eat maple syrup – absolutely no sugar, can I substitute it for another sweetener like erythritrol? This is awesome! I made my own chocolate : 3/4 cup coconut oil, 3/4 cocoa powder, 1/3 cup pure maple syrup, 1 tsp of vanilla. I got the grind your own almond butter at the store, so it was alittle chunky, but this turned out awesome!!!! I love it!!! That topping must’ve been incredible. And that grind your own almond butter… mmm mmm! ???????? Hi! I want to make this recipe this weekend, do you know if I could use honey instead of maple syrup? And peanut butter instead of almond butter? Just trying to use what I already have on hand so I don’t have to go out and buy anything else. Thanks!! Hi Amanda! Yep, those swaps should be just fine. 🙂 Hope you enjoy the bars! These are great! Turned out perfect. I added cacao nibs to the chocolate topping and it gives it a bit of a nice crunch. Ooh that sounds so good! So glad you enjoyed them Kay! These look wonderful! For the chocolate chips, would you recommend semi-sweet, milk or dark chocolate? Thanks Angie! I love using semi-sweet it dark. Hope you enjoy! Absolutely delicious. I made the base and formed it into truffle size balls. Then put in the freezer as the recipe said. Made a great alternative to truffles for Christmas. These are so good. 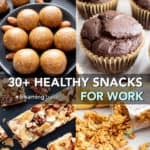 My daughter asks me to make a batch every week so she can have her favorite after school snack. Thank you for the wonderful recipe! Wonderful!! I’m so happy to hear that you and your daughter enjoy my recipe. 🙂 Thank you for taking the time to let me know! Hello! I was interesting in giving these a try but read through to comments for substitutions on the coconut flour due to a coconut allergy. There was mention of people having success with oat flour. Would you still use 1/2 cup of oat flour or would you recommend another amount like the almond flour? Hi Teri! Try using 1/2 cup + 2 tablespoons oat flour (give or take). It might not be enough flour to dry up/thicken the bars right way. However, after about a day, they should be just right. Good luck!